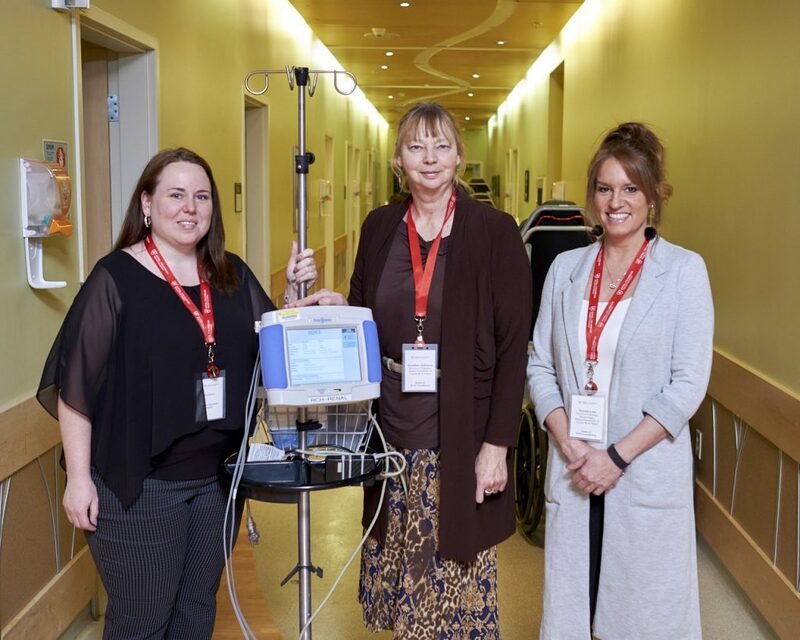 The Kidney Foundation of Canada, BC & Yukon Branch has generously donated a transonic monitor to our Renal Unit. The monitor supports the care of patients with kidney failure, by helping to supervise their hemodialysis treatment and alerting the renal team to possible complications. From left to right: Kidney Foundation of Canada, BC & Yukon branch representatives Pam Bilusack, Heather Johnson and Naomi Low.